We’ve been swamped with life outside of the aquarium world as of late (work, family, etc) but we have survived another weekend and have a fresh new look on the coming week. As part of our usual Monday offering is a recap of last week’s most popular articles. 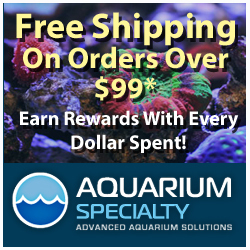 From the week of May 4th through the 10th, our offering is a bit unusual and includes an anemone eating a bird, a new nano skimmer from Innovative Marine, a sand tiger shark eating a tankmate, killer lamprey, and a big fish farting in a tiny aquarium. We hope you enjoyed the articles, and as always, we’ll have another week full of aquarium hobby coverage ahead of us, so stay tuned.